Thin-film PV could be on the upswing in the U.S. residential solar sector. Swedish solar energy company Midsummer has received an order from Sunflare for equipment for the production of thin film solar cells worth over $7 million. The production equipment will be installed at a new solar panel factory in China, which will open next year. Production of the equipment begins after New Year at Midsummer’s factory in Järfälla, outside of Stockholm, and delivery will be made to customers later in 2019. As an example of how strong the global trends are, Lindström points to the recent decision in California that all new homes built in the state must have solar power installed from January 1, 2020. There are over 70.000 houses built in that state alone each year. “The demand for our products in the U.S. has exceeded our expectations and we rapidly need to expand our production capacity with the help of our established partner Midsummer. Our new products, including our modern design driven solar roof shingle, have attracted a lot of attention in the industry. We are keen on delivering innovative solar in applications that have been largely unserved. The market is facing strong growth and we are very well positioned to capture a big portion of it,” said Philip Gao, CEO, Sunflare. Sunflare, with global headquarters in La Verne, California, is the world’s leading provider of flexible mass-produced thin film solar cells of the type CIGS, which is especially suitable for weak roofs and new roofs for private homes as well as for factories and offices. Manufacturing takes place in China and the company focuses primarily on the Californian market and in the long term also on the rest of the U.S. and Asia. Midsummer is a leading developer and supplier of advanced solar energy technology solutions for the production and installation of thin film solar panels and also a leading Swedish growth and export company. 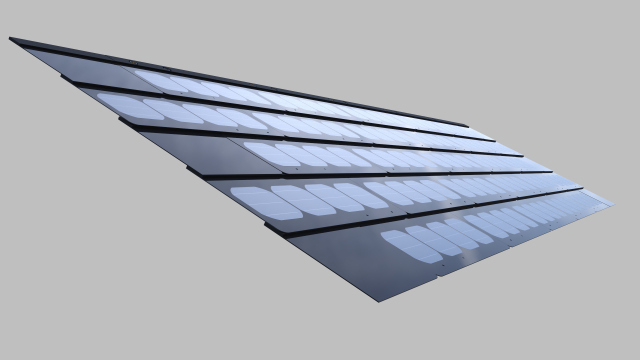 The unique DUO system has taken the position as the most widely distributed manufacturing tool for flexible CIGS solar cells in the world. Midsummer is today leading in the world to produce lightweight, flexible, robust solar panels with high energy-efficiency. “The future is very bright for solar energy, even without subsidies. We strive to be at the technical and market leading edge in this development. We have hired 40 new employees this year and expanded our factory in Järfälla with 1.200 square meters to meet the demand for our products,” Sven Lindström concluded. ← Will floating PV start trending? NREL estimates its potential in the U.S.